Senior Citizens' Day is a public holiday in the Republic of Palau celebrated annually on May 5. This holiday focuses on celebrating senior citizens as the link to the country's traditions and national heritage. It is dedicated to people who are 55 years old and older. There are few countries in the world that provide comprehensive programs on the welfare of senior citizens, and Palau is one of them. 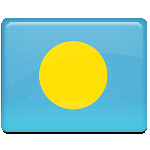 On the occasion of Senior Citizen's Day, the government of Palau announces important laws and projects related to this sphere. Official celebrations held on the day aim at strengthening the bonds between the elderly and the youth as well as showing appreciation and gratitude to the elders, which is inherent in Palau's culture. Festivities include performances, exhibitions, colorful street parades, luncheons and seminars attended by key senior citizens. As Senior Citizens' Day is an official public holiday, it is a work-free day. On May 5, all government offices, educational institutions and some businesses are closed.